Dr. Erin Madonia’s purpose is to make a profound difference in the health of individuals throughout all stages of life. 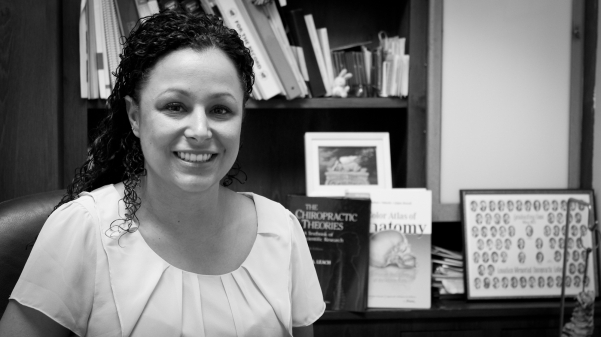 She is an advocate of healthy lifestyle with a multi-disciplinary and evidenced-based approach to clinical practice providing the most up to date knowledge in non-surgical approaches to spinal care and well-being. Dr. Erin D Madonia graduated from Queen’s University with an Honors Bachelor of Science degree in the Life Sciences. She then went on to graduate with honors as a Doctor of Chiropractic from the Canadian Memorial Chiropractic College [CMCC] in Toronto. She practices using Diversified Technique and is certified in the Webster Technique. Dr. Erin is passionate about chiropractic and the power the body has to heal itself when in optimal function. She likes to assist her patients with other aspects of their health by providing nutrition, exercise, lifestyle and work habits counselling. Dr. Erin is continually expanding her skills and has completed her diploma in Traditional Chinese Medicine clinical acupuncture. She is a member of the Acupuncture Council of Ontario as well as the International Chiropractic Pediatric Association. This allows her to provide treatment of pediatric conditions with techniques adapted to the neonate and older child. She is certified in the Webster technique, which provides her with the skills to care for women during their pregnancy while preparing their bodies for the birthing process. In her spare time, Dr. Erin Madonia lives and maintain an active and healthy lifestyle. She played soccer for the City of Vaughan and continues to play recreationally. She enjoys running half marathons and yoga to keep fit and relaxes through reading, music and travel when time permits. Dr. Maranda Vanderbeek graduated from McMaster University where she earned her Bachelor of Science Honours Kinesiology degree. She continued her education at the Canadian Memorial Chiropractic College (CMCC) where she obtained her Doctor of Chiropractic Degree. Dr. Vanderbeek focuses on developing treatment plans that address her patients’ individual needs and goals. She utilizes a combination of chiropractic manipulation/mobilization, myofascial release therapy, rehabilitation and patient education in her treatment plans. 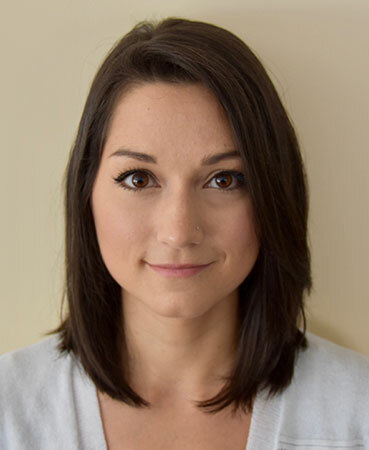 She is Webster Certified and a member of the International Chiropractic Pediatric Association, as well as an active member of the Canadian Chiropractic Association and the Ontario Chiropractic Association.